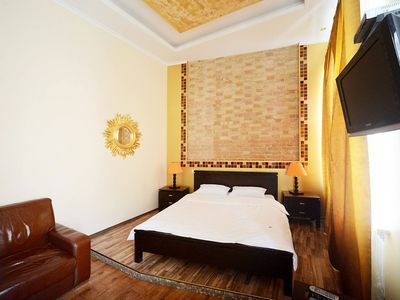 There are two separate rooms in this apartment situated in the heart of Kiev with the nearest metro station “Palats Sporty” and 5 minutes walking to the main street Khreschatyk. The flat is situated on the first floor of 4-storey house. 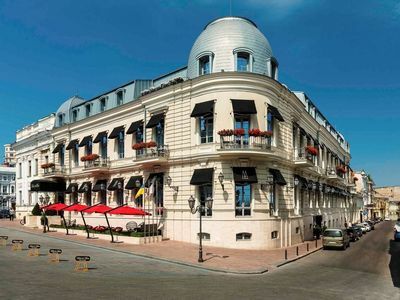 Nearby there is an entertaining center Arena City, shopping mall Mandarin Plaza with a shopping mall Metrograd, Bessarabsky market and many shops, restaurants, pubs and cafes. 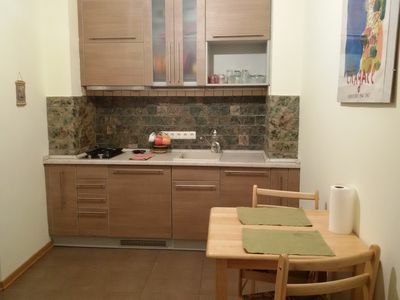 This apartment has got a separate kitchen, a hall, a bathroom, two rooms (a living room and a bedroom). There is a sofa in the living room, and there is a double bed. 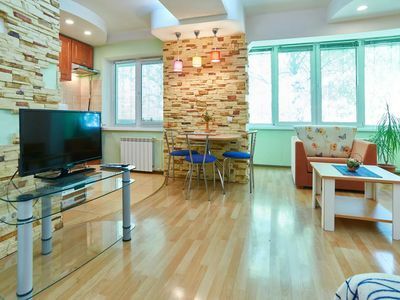 An apartment is well-equipped with everything necessary for comfort living: WIFI, cable television, 2 conditioners, washing machine, a microwave, tea kettle, hairdryer, iron, ironing board. 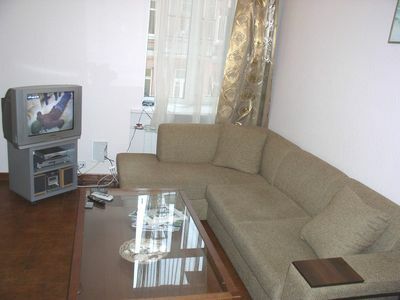 You will have access to all the facilities that are in the apartment. Every 4-5 days in an apartment is a free cleaning service and linen change. Cable TV offers a choice of multiple channels including in foreign languages. Air conditioning will protect you from the heat. Communication with guests is held by correspondence by e-mail and phone. It is also very convenient to use Viber. In the event of technical problems, our staff can always drive up to you to solve the problem. To arrange an early check-in (8:00 am) or late check-out (until 18:00), please verify the possibility of providing this service, contacting the owner via the tab "Ask owner". Early check-in and late check-out are an additional services, with is 1/2 of the daily rate and can be confirmed 24 hours before the day of arrival. 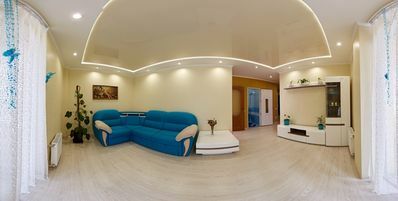 All our services in Kiev: additional cleaning, rent of additional apartment, prolongation of apartment, transfers and etc you can pay by credit card. Since the apartment is located in an apartment building, we have a huge request to comply with an acceptable level of noise, especially after 10 pm. Smoking in the apartment is not desirable. It is desirable to do on the balcony or on the landing near the elevator. * Security deposit: € 100.00-After completing the reservation you will be required to leave a credit card number.